Your student identity card is also your semester ticket/ student transit pass. This works according to a solidarity model. Everyone pays for the tickets the same price, but does not use it in the same way). That is the reason why our Semesterticket can be offered cheap compared to the stand single tickets. The semester ticket enables you to ride the railways, buses and trams in the region of Hannover (transport network GVH) free of charge. 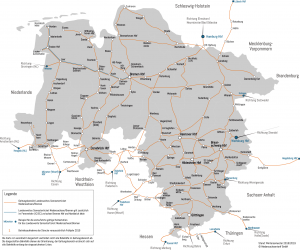 In Lower Saxony and Bremen you can use in principle all regional rail (2nd class) at all railway companies. 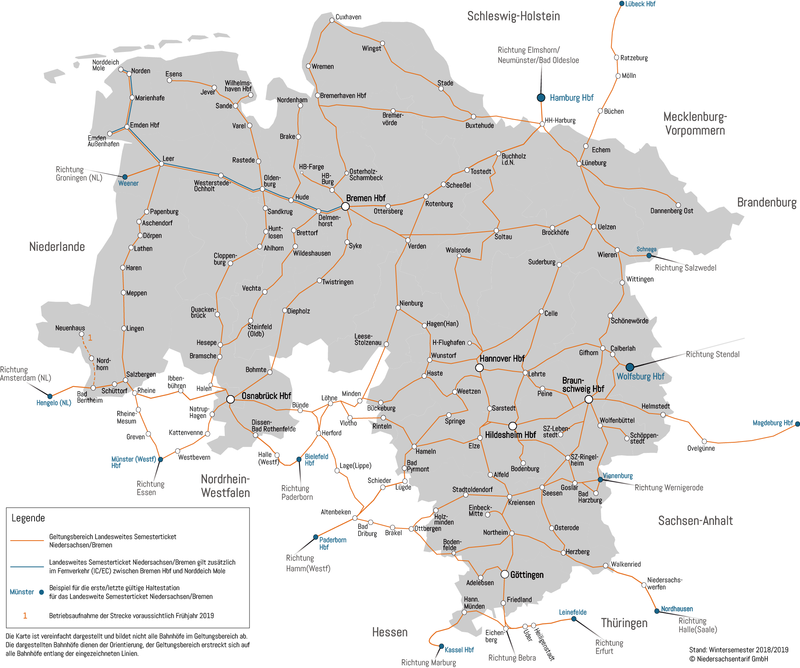 Except of the national InterCity (IC), InterCityExpress (ICE) (Deutsche Bahn). Additional routes we have e.g. to Hamburg, Lübeck, Magdeburg, Nordhausen, Kassel, Paderborn, Bielefeld and Münster (see on the map of routes). Other local buses, trams and subways outside the GVH area are not included in the ticket! Please note that despite a nice plastic card with photo, the semester ticket is valid only in connection with an official document with photograph (identity card, etc.). You student transit pass is not valid on routes WITHIN Hamburg, only TO Hamburg. If you want to use busses or trams in Braunschweig, you have to buy yourself a ticket. You can’t use your student transit pass in InterCity (IC), InterCityExpress (ICE) (Deutsche Bahn), except the IC/EC between the relation Bremen Hbf – Norddeich Mole and Leer – Norddeich. Here is the request-formular for the partial refund of the Semesterticket, please make sure, that the I-Amt signs these paper, otherwise its not validated. The processing time for the request can be up to 4 weeks, we are sorry for potentiell delays. So please send us the formular as soon as possible.